Blend is a brilliant name for a Portuguese wine magazine. Why? Because the Portuguese are the masters of blending – whether it’s different grape varieties or vintages. It helps that, with 250 plus native grape varieties, these vinous artists have a rich palette of aromas, flavours and textures from which to draw. 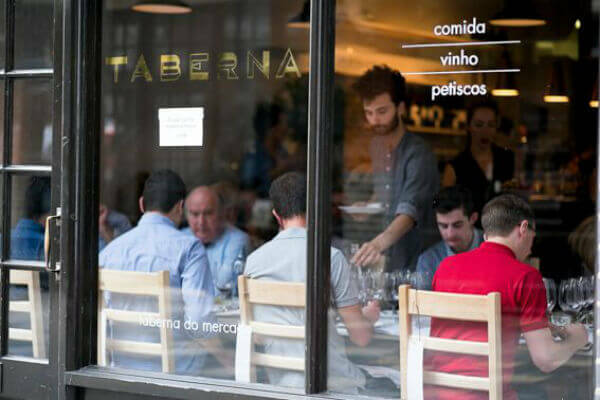 Of course another variable is terroir, a topic which I enjoyed placing under the microscope at a Sip & Savour tasting earlier this month focused on the Douro and Vinho Verde. When you think about classic Vinho Verde wine – fresh, white, light, low alcohol – it is remarkable to think that this region’s neighbor, the Douro, produces one of the world’s most famous fortified wines – rich, red and robust Ports! Fire to the Vinho Verde’s water. I had fun contrasting six benchmark examples from these northern regions. As you might expect, the Vinho Verdes were white and the Douro duo were (at least intended both to be) red – no surprises there. But I also played around with perceptions as I took the chance to highlight not just the freshness but also the intensity of top Vinho Verde and the elegance of the Douro reds, even if they came from the Douro Superior, theoretically its hottest, driest sub-region. The surprises continued with our dessert wine, a Moscatel do Douro, which proved that the Douro can do elegant fortifieds too. Returning to my fire and water analogy, water is a big fat clue to a major point of difference between these two neighbouring regions. Located alongside the Atlantic and criss-crossed by rivers which funnel the Atlantic influence inland, Vinho Verde is wetter and cooler than the land-locked Douro. 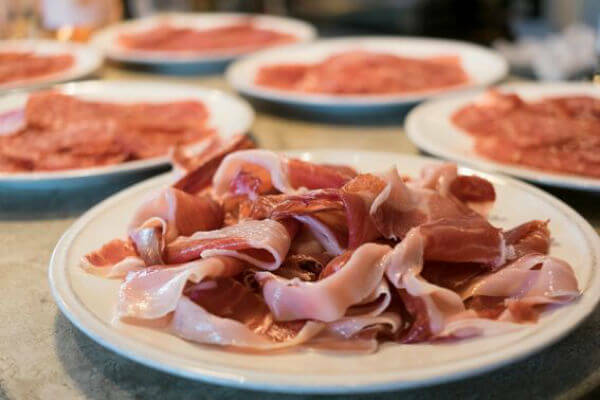 You have to travel some 100km inland from Oporto to reach the Douro region, which then stretches another 100km further inland, snaking along the Douro river, right up to the Spanish border. While Vinho Verde has a maritime influenced climate (especially those parts nearest the coast), the Douro is shielded from the brunt of Atlantic weather by the Marão mountain range. Located betwixt the Douro and Vinho Verde and rising to 1,415m above sea level, the Marão is Portugal’s sixth highest mountain range. 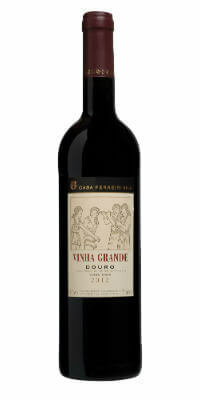 Its sheer height and mass has a rain-shadow effect and helps the Douro to keep the Atlantic storms at bay. The Douro’s inland location also results in a continental climate which is characterized by extremes of temperature. As one winemaker vividly expressed it, the Douro has ‘nine months of winter and three months of hell.’ Hell, we’re back to fire, but not hell, fire and damnation! Autumn temperatures may soar to 40 degrees plus (which is perfect for Port and red winemaking), but the good news is that those temperature extremes occur on a daily and not just seasonal basis. In the autumn, even if it’s 40 degrees in the daytime, the temperature drops significantly at night. What’s more, elevation comes into play. Remember, we’ve ascended the Marão mountain range into the Douro – some might say into heaven, not hell! And because the Douro is itself mountainous, grapes are grown at altitudes ranging between 100m (by the river) to up to 900m above sea level and facing every which way – north, south, east and west. Given that temperatures can drop by up to one degree centigrade for every 100m you climb, plus aspect affects exposure to sunshine and wind which in turn impact on the ripening process, the Douro can make elegant red and white wines, as well as robust Ports and red wines. It was to elegance that I looked for this Sip & Savour tasting in the height of summer. 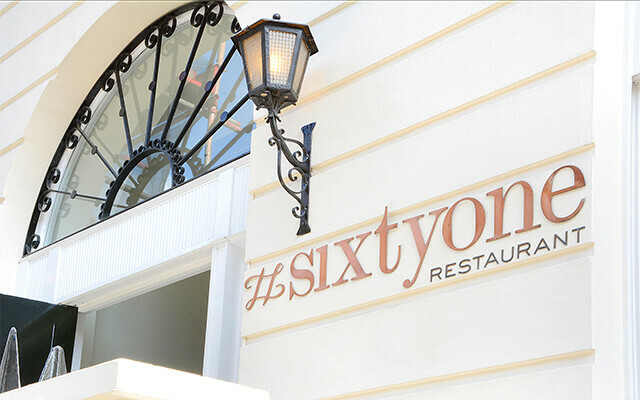 Naturally, food writer Sip & Savour’s Amber Dalton came up with a fine foodie foil for the wines in the shape of Sixtyone Restaurant. 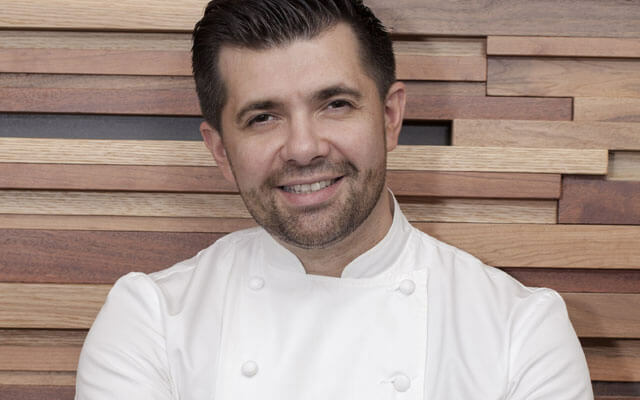 Chef/Patron Arnaud Stevens tempers big bold flavours with his elegant touch. He told us his menu for this tasting was very much informed by matching the acidity – the freshness – of the Portuguese wines. 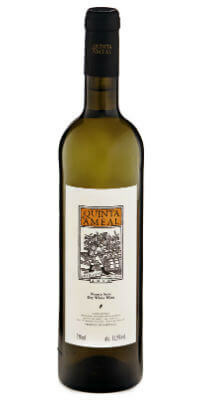 Which brings me to our first example, our refreshing, intensely mineral aperitif, Quinta do Ameal Loureiro 2013. I had deliberately selected single varietal, sub-regional Vinho Verdes because they brilliantly kick into touch any lingering stereo-types about Vinho Verde being dilute and too acidic. Based in Nogueira in the heart of the sub-region of Lima where the Loureiro grape thrives, Quinta do Ameal has long produced the region’s benchmark example. The secret to Ameal’s success? Aside from being in the right spot (Lima, on south-facing slopes), vaulting ambition helps. 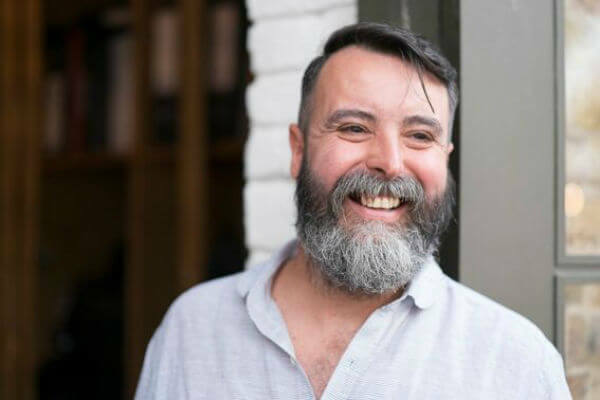 Owner Pedro Aruajo is descended from Adriano Ramos Pinto of Port fame and has plainly brought his great grand-father’s magic touch to Ameal. So when it comes to the raw material, Aruajo has slashed yields in order to ensure that his organically grown grapes are healthy and concentrated in aroma and flavour. In the winery, he has employed none other than Vinho Verde guru Anselmo Mendes to ensure that the grapes’ lively lime and celery salt aromas and flavours and cool minerality are preserved in the glass. Well received, it was the perfect tonic on such a hot and humid London day. For the Vinho Verde pair which we enjoyed with this stunning starter of octopus carpaccio, red pepper, wood sorrel, sesame, I looked for even more intensity and concentration. So it made sense to show off Vinho Verde’s warmest, driest sub-region, Monção e Melgaço, the epicentre of Portugal’s flagship white grape, Alvarinho. What’s more, two of its greatest exponents, Quinta do Soalheiro and Anselmo Mendes. Though you might expect it to be cooler than Lima to the south, Monção e Melgaço is located well inland, where the land starts to rise and the topography helps to shelter the vineyards from Atlantic influence. So the climate is a little more continental, which explains why the grapes attain good ripeness (hotter days), yet also have good acidity (nights are significantly cooler). It makes for Vinho Verde’s most powerfully fruity yet fresh, long-lived wines; my audience was struck by the relative delicacy and minerality of the Loureiro compared with the two Alvarinhos. As for which of the pair most caught their fancy, at Sip & Savour events we always ask which wine people most preferred on its own and which with the food. In this case, the answer was the same. 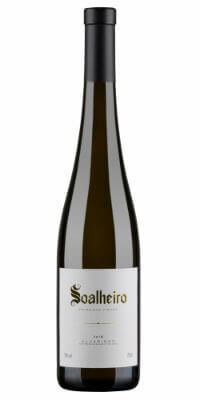 Quinta do Soalheiro Primeiras Vinhas Alvarinho 2013 just pipped Anselmo Mendes Contacto Alvarinho 2014 on both counts. Made from the oldest vines at the Cerdeira family’s organically cultivated estate (planted in 1974, they were Melgaço’s first) and with a barrel-fermented component (15%), Quinta do Soalheiro Primeiras Vinhas 2013 had greater complexity. Its subtle savoury nuances chimed brilliantly well with the sherry vinegar, sesame oil and pine nuts in the octopus’ marinade. But it was a close call. 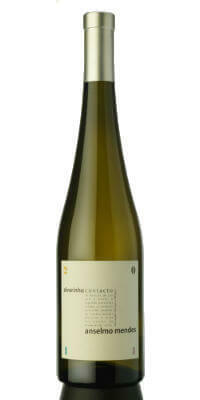 I also loved the honeysuckle perfume and bounteous peach and apricot fruit of the bolder Contacto from lower vineyards closer to the Minho river in Monção. (Incidentally, this wine takes its name from the fact that the crushed grapes stay in contact with skins for a short period prior to fermentation. Why? Because the skins harbour the most aroma and flavor compounds and can add a touch of texture to the wine too). For our main course of roasted guinea fowl, coco beans, tomatoes, peas, black olive, lime, I’d selected two Douro reds, Casa Ferreirinha Vinha Grande Tinto and Conceito Contraste Vinho Tinto. Both were from the elegant 2012 vintage and made by winemakers who place great emphasis on freshness and balance. At Casa Ferreirinha (which makes iconic Douro red Barca Velha) Luis Sottomayor follows the tradition of sourcing grapes from different altitudes for elegant balance. It helps that Sogrape (Casa Ferreirinha’s owner) has two Douro Superior estates – Quinta da Leda at 150m-400m and Quinta do Sairrão which rises to over 600m. As for Rita Ferreira Marques, she contends that the freshness of Conceito’s wines stems from the Teja Valley being the Douro’s coolest spot. Not just because of elevation (her vineyards are located at 300-450m), but also because of the Teja Valley’s distance from the tempering influence of the Douro river. It was a quality (freshness) that I was able to demonstrate more emphatically than I’d originally intended when it transpired that her importer had sent Contraste Branco (white), not the red! The inadvertent pairing of the main course with a white and red wine brought to mind João Pires’ wise words about taking your cue from the colour of the dish. Not for nothing is he a Master Sommelier! Like many Portuguese whites, Conceito Contraste Branco is not overtly fruity and, with its vegetal notes, it performed a harmonious duet with the thyme, rosemary and tomato notes in the dish as well as the protein; its acidity cut through the creamy saucing too. Most preferred it with the guinea fowl. On the other hand, with its bright still very primary fruit, most people preferred the Casa Ferreirinha Vinha Grande Tinto on its own. The fruit was a little too overwhelming for the delicate flavours and creamy texture of this dish. You need only look at this dessert to put on weight! Suffice to say, it would be difficult to find a wine to overwhelm salt caramel chocolate tart with caramel marshmallow and salt caramel ice cream. Rather, the challenge might be to find a wine to stand up to it, so a fortified wine made sense. But if the dessert and dessert wine were to be pronounced the perfect match (as indeed they were), then the wine had to have sufficient freshness to cut through the richness of the dish and cleanse the palate after each (heavenly) mouthful. Step forward Moscatel do Douro, the Douro’s lesser known fortified wine, not to mention Portugal’s lesser known fortified Moscatel (Moscatel de Setubal being of higher profile). 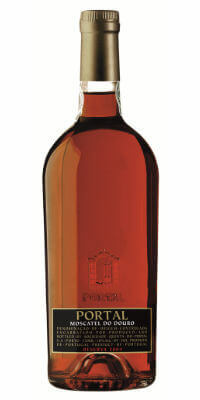 The Douro’s Moscatels are made from Moscatel Galego, a.k.a. Muscat à Petits Grains, a different, more delicate variety to Moscatel de Setubal. Our example, Quinta do Portal Moscatel do Douro Reserva 2004, also comes from the Mansilha Branco family’s much higher, cooler, acidity preserving vineyards in Favaios at 600m at the northern end of the Pinhão Valley. Not only did it have the freshness to bring balance to the ensemble (especially when served chilled) but, having been aged for several years in wood (none new), it also had the depth of flavor and complexity to marry with the chocolate tart and all its intricate, textural accompaniments. So well that the restaurant was bathed in a reverential silence for minutes! What a perfect ending. Blend – All About Wine seeks to promote and disseminate portuguese wines around the world and has that as its main aim and guiding principle. It was based on that purpose that Blend teamed up (as partner) with Sip & Savour to carry out an event designed for oenophiles (consumers) that will take place next Monday, 3rd August, in London. Sip & Savour “holds food and drink matching events at top restaurants in London and the UK, hosted by award-winning writers and producers”. 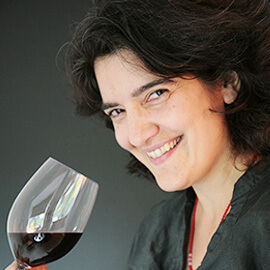 Sarah Ahmed – The Wine Detective -, a recognized authority in Portuguese wines (Chair of the Portugal panel at Decanter World Wine Awards) will present her hand-picked wine selections of six top portuguese producers from the wine regions of Vinho Verde and Douro, on behalf of Blend. 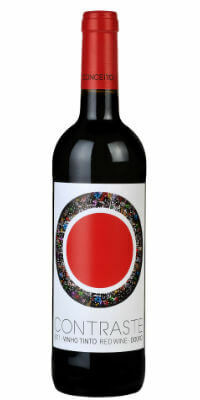 Namely: Quinta do Ameal, Quinta de Soalheiro, Anselmo Mendes, Conceito Vinhos, Sogrape e Quinta do Portal. 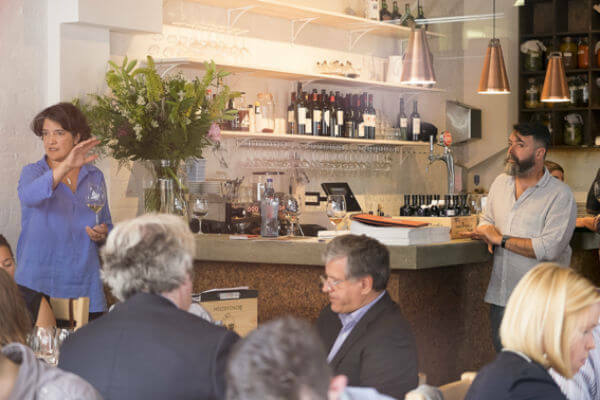 The chosen venue for holding this event was the Sixtyone Restaurant, a restaurant in south Maylebone, London, which was awarded three AA Rosettes in September 2014 and is run by the Anglo-French Chef Arnaud Stevens. 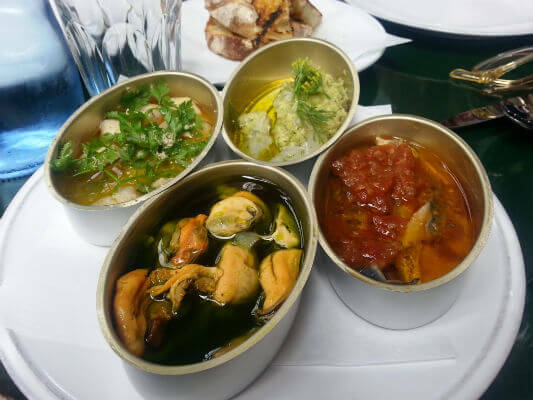 For this lunch Stevens has created an especially designed menu to complement the portuguese wines chosen by Sarah Ahmed. For a more detailed and complete picture of this event do not miss Sarah’s next article on Blend – The Online Wine Magazine, August 13, where she’ll provide a report of the event in its entirety.